What Is Pest Exclusion And Why Is It So Important To Your Business? Commercial pest management has gone the way of most modern industry in the sense that it has become focused on greener, more sustainable strategies to control and maintain insect and rodent pest invasions. Pest exclusion is a preventative, direct outgrowth of this awareness, as it involves integrated forms of pest management that protect the environment rather than haphazardly blanketing powerful chemicals to eradicate infestations as was the practice in past decades. Because of its focus on deterrence, it is actually synonymous with pest prevention. We recently wrote about four key steps restaurants should take to protect themselves against pest infestations, and one of these steps was exclusion, but all apply to just about any commercial business facility. 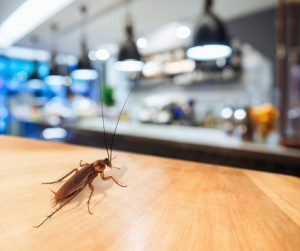 While insects and rodents are and always will be integral to a healthy eco-system that sustains the endless balance of nature, when they make a home in your commercial facility they can bring with them a slew of health hazards, annoyances and negative affects on your reputation, repeat businesses and good standing with local health departments. Pest exclusion is a pro-active tactic used in large buildings such as schools, offices, hospitals and restaurants that involves sealing up potential points where pests are likely to gain entry. It is the first line of defense against infestations, and is becoming more and more popular not only because of environmental considerations but also because it uses fewer chemicals, is cost-effective and more efficient. Safe for both humans and the environment, this integrated form of pest management supports both biology and the natural life cycle of pests. Continue reading to learn more about the process of exclusion, or get proactive with protecting your business facility, its bottom line and online reputation and schedule a free inspection today — (412) 252-5200. Click The Roach Above To Start Taking Exclusionary Steps! The idea behind pest exclusion is that it’s much easier and safer for the environment to keep pests out of a building than it is to eradicate an infestation once it takes hold. Insects and other critters such as mice and rats, love commercial buildings because so many of them abound with cracks, holes and other easy points of entry, such as improperly sealed vents, that serve as doorways. Pest exclusion is the first line of defense against marauding insects and rodents for industrial spaces. In the ancient world, there were no formal procedures invoked to prevent pests from gaining entry to homes and stored food supplies. Primitive smoke-screens were temporary at best, and for the most part, the battle between man and pest invaders was one in which the intruders had more than a slight edge. Populations were nomadic, and the hunters and gatherers who lived off the land stored grain from their field crops in granary baskets placed on raised wooden platforms in an effort to keep pests at bay. Pest exclusion was often tantamount to indirect pest control methods, such as gathering and roasting insects and then consuming them as sources of protein. The ancients also resorted to applying sulfuric compounds and herbs and oils to use as pesticides, and among other things, planting enough crops for both man and pests. How Exactly Does Pest Exclusion Work? The very first thing commercial pest control experts will do is to thoroughly inspect the building for vulnerable areas and reinforce them against invading pests wherever possible. Professional judgment is necessary because there are some areas in every commercial space that must remain ventilated and open to some extent. Air currents can be alluring to pests, as they have seasonally appealing temperatures (cool in the summer, warm in the winter), or they can carry the scent of food being prepared inside. All unnecessary apertures must be sealed and potential traffic routes for insects and rodents must be minimized as much as possible, which usually entails keeping windows shut and screen meshes fastened and in good repair. Other exclusionary courses of action recommended by an integrated pest management experts concern removing any organic matter away from the building’s exterior. This includes trash, compost, mulch and fallen leaves and branches during the fall season. These can easily become attractive havens to invading critters, including rats and mice. Remove all food, water and shelter sources from the interior of the building. Pest exclusion can be used to eliminate all types of insect marauders, including cockroaches, termites and those potentially reputation-damaging bedbugs, by utilizing new technologies such as sealants, particle barriers and mesh screens. Although pest exclusion is a cost-effective and highly efficient approach to commercial pest management, implementing a plan for a large facility can be an enormous project. We have been in continuous operation for more than seven decades and can provide superior professional advice and solutions based on prevention, understanding insect and rodent behavior and the ability to identify signs of an infestation. Pro-active pest exclusion services reflect an approach not generally found within the pest management industry that is focused on the selection of appropriate construction materials and the application of very specific procedures, and a background in construction is a major addition in this expanding niche market because such knowledge can provide site-specific solutions. Click The Mouse To Get The Best In Pittsburgh Pest Exclusion! These days, more businesses are choosing to apply the principles of integrated pest management, a more holistic and healthy form of commercial pest control. The following are 5 key steps we take to ensure exclusion for our commercial clients. Scheduling an inspection marks the first and also the most difficult step, but once that is accomplished, sticking to an annual pest exclusion routine is pretty smooth sailing. This must precede any plan because affected areas must be both systematically identified and observed. Professionals must map out and identify gaps, which are open invitations to unwanted pests. Some of the most common gaps (entry points) include utility (water and electrical) lines that penetrate the building doors and rooflines. Inspections must also include interior pathways and building exteriors, as it is a well-established fact that pests move easily within building units that have shared walls. Knowledge of building construction is an added plus here because techniques such as balloon framing, (refers to the fact that each floor level of a building is framed as a separate unit) can be employed. This procedure can create a void that runs from the sill plate (bottom part of wall or building to which vertical parts are attached) to the top of the structure. This is perhaps the most challenging aspect of the pest exclusion process, as there are few published resources concerning the best materials to use to seal openings. There appears to be only one technical document, Pest Prevention and Design, written by Dr. Corrigan that offers information about the particular sealants that work best for pest exclusion. Minor routes that are seldom traveled by rodents, which would be marked by an absence of droppings, chew marks or secretion trails, should be sealed first. Primary pathways should be sealed only after a population reduction (also known as trapping) has occurred. The success of any Pittsburgh pest exclusion initiative will depend upon two key factors: the professionals enlisted to do the job and the products chosen to implement the process. There are no one-product-fits-all solutions, and our pest management professionals need to utilize multiple, site-specific materials. As expected, products vary in how well they can withstand pest invaders, and one critical consideration is understanding that the products that might work well for weatherization and energy efficiency, such as expanding foams, may help against crawling insects, but are not suitable for rodent exclusion. The door sweeps sold in most hardware stores are no match for hungry rodents. Professionals will rely on high-density brush sweeps or rubber encased steel fabric sweeps to prevent rodents from entering a commercial space. According to Corrigan, the type of sweep utilized will depend upon pest pressure. Those areas infested with large rodent populations, especially rats, can best be treated with rubber-encased steel fabric sweeps. Steel fabric mesh snugly fills small gaps that are up to one inch in length. Larger openings should be sealed with sheet metal, concrete, woven hardware cloth or other aesthetically appropriate, permanent materials. Knowing how to affix these products to the surface in order to prevent the edges from bending requires the knowledge and skill of a professional our Pestco technicians. A common mistake when dealing with rodent exclusion is to completely close off a structure. Some building features are specifically designed to permit airflow, water drainage and movement, and sealing them off can create new moisture problems that ultimately may affect the soundness of the building. For weep holes, (small openings that allow water to drain from an assembly) water-permeable materials are required. On soffit (the underside of a roof overhang) and ridge vents, where a flow of continuous air is needed, breathable materials work best and woven hardware cloth is recommended for air vents. The time to research and experiment with pest exclusion practices and exclusion experts is now. Company owners and leaders using pest exclusion techniques must bear in mind that ‘long term ’does not mean ‘one-time’ service. Annual inspections must become integrated with company operations, as they are needed to verify that products are working effectively, that new gaps have not appeared and that pests have not created their own openings. Pest exclusion maintenance may well represent the future of pest management. According to Air-Scent and Pestco president, Arnold Zlotnik, in the mid-1940s an enterprising businessman named Milton Zlotnik operated the world’s first commercial air freshener service routes. He successfully promoted a product invented by his uncle, Bob Surloff. It was the first fan-operated air freshener and he named it Air-Scent. Several years later, he added pest control to his growing list of customer options. The rest is a very fragrant tale of global renown and success. Since 1948, we have been providing pest control and pest management solutions and comprehensive washroom sanitation maintenance throughout Pittsburgh, western Pennsylvania, eastern Ohio and the Virginia Panhandle. Our top priority is creating and maintaining healthy workplace environments for all types of commercial establishments including but not limited to: office buildings, restaurants, hotels, spas, educational institutions, shopping malls, supermarkets and event arenas. Highly professional and inclusive strategies guarantee improvements in repeat business, company and consumer morale, that all-important bottom line and compliance with state and local health regulatory codes. Our Complete Facility Care program is available to owners and managers of commercial and/or industrial spaces. It represents an integrated collection of services bundled together in one efficient, cost-effective agenda. Pest control and pest management strategies are aligned with environmental odor control, air freshening and ambient scenting air care strategies developed by Air-Scent and Enviro-Master with their washroom hygiene services, complete this treatment trinity that is certain to transform any company into an business environment that enables happier, healthier employees and customers. Exclusionary tactics can make any commercial property unsuitable for pests, but they require professional application and are not considered do-it-yourself strategies, no matter how clever or handy a non-professional can be. Company owners and managers will greatly benefit from our technicians, who will take the time to educate their clients as to what they can do to minimize the risk of returning insect pests and rodents. We welcome questions and offer helpful answers. Some pro-active techniques include: sanitizing the facility, eliminating potential food and shelter sources, and doing routine inspections of the facility and its grounds. Pest exclusion is visionary and is slowly transforming the pest control and pest management industry. Its concern for the environment and cutting edge tactics make it viable for the future when eco-sensitive and sustainable solutions are likely to rule our planet. We understand the significance of utilizing pest control techniques that are both effective and environmentally responsible which means applying extra thought and care into pesticide choices so that they are directed and designed to kill the single pest rather than non-target organisms. Speak with our experts today, (800) 473-7820, or send us your business facility details, and let us help you with our tried and true, state-of-the-art pest control and management solutions. Our service teams are available to handle any Pittsburgh commercial or residential pest control emergency. Click to call below or learn more about a few of our key services below. Effective odor neutralizing systems, deodorizers, organic waste degraders, automated trash room and dumpster spray and non-polluting solutions.. When Does The Yellow Jacket Pest Control Season Begin?